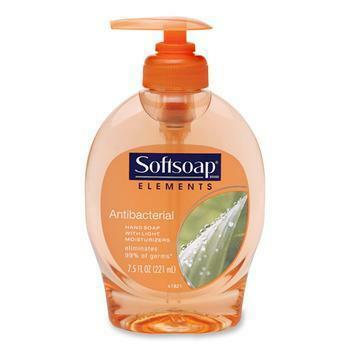 The U.S. Food and Drug Administration today banned antibacterial soap, saying manufacturers failed to demonstrate that the products are safe and effective. The FDA's rule applies to consumer antiseptic wash products containing one or more of 19 specific active ingredients, including the most commonly used ingredients – triclosan and triclocarban. These products are what is commonly called soap. They're intended for use with water, and are rinsed off after use. The new rule does not affect consumer hand “sanitizers” or wipes, or antibacterial products used in health care settings. The issue has been frothing since at least 2010, when the National Resources Defense Council (NRDC) filed a lawsuit to pressure the FDA into regulating antibacterial soaps, claiming that the chemicals they contain can cause a number of undesirable side effects, including damage to reproductive organs and lower levels of sperm and thyroid hormone. Antibacterial soaps are most often sold in liquid form, but not all liquid soap is classified as antibacterial. Antibacterial soaps are often sold in traditional bars. The earliest antibacterial soap brand is Dial, developed after World War II for use in industrial environments. In its 1966 TV commercial, Dial linked the removal of bacteria from the body with its deodorant powers. The FDA has been considering the ban since 2013, when some data suggested that long-term exposure to certain active ingredients used in antibacterial products — for example, triclosan (liquid soaps) and triclocarban (bar soaps) — could pose health risks, such as bacterial resistance or hormonal effects. The agency asked manufacturers to provide additional data on the safety and effectiveness of ingredients used in over-the-counter consumer antibacterial washes, including any data from clinical studies demonstrating that these products were superior to non-antibacterial washes in preventing human illness or reducing infection. Antibacterial hand and body wash manufacturers did not provide the necessary data to establish safety and effectiveness for the 19 active ingredients, the agency said. Manufacturers have one year to comply with the new rule. The FDA has deferred rulemaking for one year on three additional ingredients used in consumer wash products – benzalkonium chloride, benzethonium chloride and chloroxylenol (PCMX) – to allow for the development and submission of new safety and effectiveness data. Washing with plain soap and running water remains one of the most important steps consumers can take to avoid getting sick and to prevent spreading germs to others. If soap and water are not available and a consumer uses hand sanitizer instead, the U.S. Centers for Disease Control and Prevention (CDC) recommends that it be an alcohol-based hand sanitizer that contains at least 60 percent alcohol.